Do you want to bring interactivity and intelligence to your projects? Programming basics for Arduino takes you to an in-depth look at how to write your own Arduino programs. In this class, we will cover the structure of an Arduino program, functions, variables, arrays, control structures, using Libraries and Arduino-specific functions. Students with no programming experience will appreciate learning basic concepts and structures for programming for the Arduino. 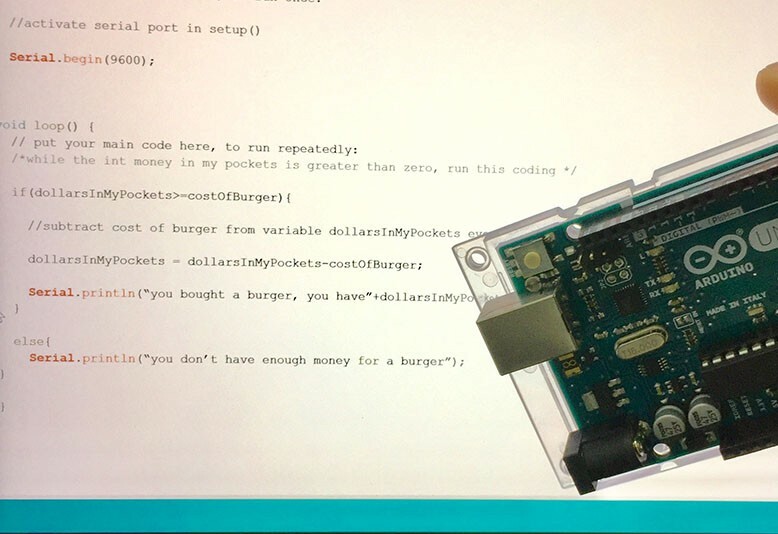 Students with programming experience will appreciate learning the ins and outs of adapting their coding for use with the Arduino. Prerequisites: An Arduino board will be available for use during the class. Alternatively, you can buy an Arduino Uno from our retail or you can bring your own. Basic concepts of programming are recommended.